Elon Musk is a name on everyone’s tongue, or twitter feed at the very least. 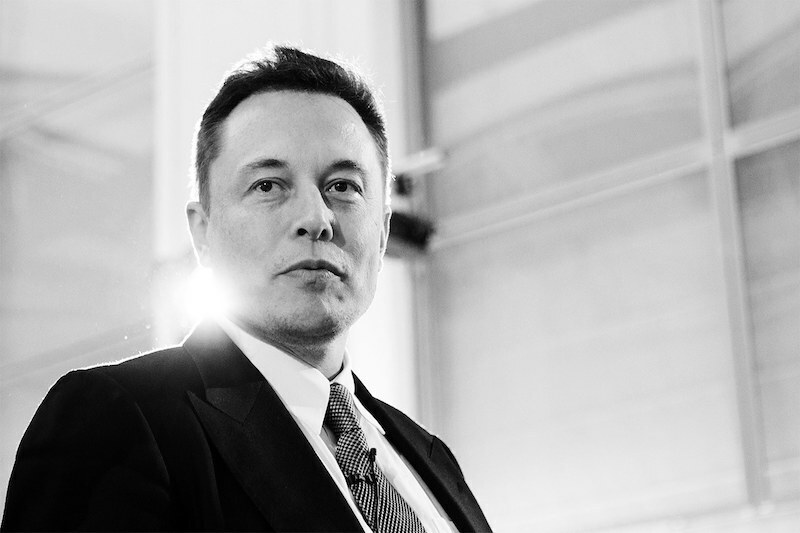 For a man of many projects, Musk has one goal in mind: to shape the future. To achieve this he’s set himself many sub-goals, short and long-term. These include disrupting the auto industry with Tesla and getting mankind on Mars via his SpaceX project. And he won’t stop until he succeeds, or dies. How morbidly inspirational? "I don't ever give up. I will have to be dead or completely incapacitated" - Elon Musk. Musk appears to be a man who can make anyone find promise in his revolutionary ideas, some which are yet to even be possible. The driving force behind leaving a legacy, as cliche as it sounds, is to get back up when you’ve been knocked down. Not all of Musk’s ideas have been welcomed with open arms. He too has been rejected, laughed at and denied. He’s had people try to talk him out of starting a rocket company and was ridiculed when his Falcon 9 blew up. According to Musk, failure and innovation go hand-in-hand, you can’t have one without the other. “Failure is an option here. If things are not failing, you are not innovating enough.” – Elon Musk. Elon certainly never viewed a bump in the road (or the blowing up of a spacecraft) as a failed project. He views everything as a learning curve, focusing on what worked and how to improve on what didn’t. This mindset clearly works for him, as SpaceX has now become the first private entity to successfully launch into orbit and return via spacecraft. In the mind of Elon Musk “you only fail when you quit”. That’s something, no matter your end goal that everyone can learn from. "Persistence is very important. You should not give up unless you are forced to give up.” – Elon Musk. Even from a young age, Elon has had the mind of an entrepreneur. To cover his tuition fees, he and his housemate threw parties and charged other students $5 to attend. Ressi, his housemate, comments on the seriousness of the enterprise saying, “It was a full-out, unlicensed speakeasy… We would have as many as five hundred people. We would charge five dollars, and it would be pretty much all you could drink — beer and Jell-O shots and other things”. In other areas of Musks entrepreneurial mind, he believes the best way to work and learn as a founder and CEO is from the front line. What better way to understand your companies strengths and work towards improving its weaknesses than by working alongside your employees? “I always move my desk to wherever -- I don’t really have a desk actually -- I move myself to wherever the biggest problem is in Tesla. I really believe that one should lead from the front lines." - Elon Musk. Within 2 days of being enrolled in graduate school at Stanford, Musk dropped out on the basis that the internet had a greater ability to bring about social change. Since then, he’s gone on to be the founder of multiple companies including Paypal and Tesla. "When Henry Ford made cheap, reliable cars, people said, ‘Nah, what’s wrong with a horse?’ That was a huge bet he made, and it worked." – Elon Musk. His idea of the future? A million people living happily on Mars. That’s not a long-term future goal either, Musk believes he will live to see colonisation on Mars as a solution for the survival of mankind by the time he is in his 50’s. He is now 46. The point being, you must work toward a future that you believe to be possible, even if the idea to everyone else is unimaginable. Just because it’s labelled as ‘crazy’ and ‘impossible’ by everyone other than yourself, doesn’t mean you shouldn’t give it your best shot. Like all other leaders and innovators, there is no end point for Musk. Reaching one goal is only a sign that he must begin working on the next. His branching goal is to shape the future, within this lies several long-term goals. Colonize Mars, break self-driving cars into the mainstream, create the 5th mode of transport in the form of Hyperloop. His determination is driven by the pure belief that there is nothing else worth doing in his life, combined with his never ending passion to shape the world we live in. "When something is important enough, you do it even if the odds are not in your favor.” - Elon Musk. Even when on the edge of bankruptcy Elon never stopped, he invested his last $35 million into Tesla and had to borrow money from friends and family to pay his rent! He could have very easily ran off to lie on a beach for the rest of his life, living off of that very $35 million. A great entrepreneur isn’t driven by money. Their work is driven by passion and the challenge to improve the future of the world we live in. “I don’t create companies for the sake of creating companies, but to get things done.” – Elon Musk. The Success Series details the worlds leading entrepreneurs and innovators attitude towards success, and how never giving up led them to achieve what some may believe to be the impossible.